Widely recognised as ‘The King of Trainers’, JD Sports is considered to be the leading sports fashion retailer in the UK. As you would expect, its retail outlets can be found in every shopping centre and High Street across the UK, and Sheffield is no exception. A new JD Sports shop has recently opened in the newly redeveloped city-centre shopping area, The Moor, in addition to its Meadowhall presence. Tower Lifts has enjoyed a long-term professional relationship with JD Sports, and we’re delighted to have installed a dumbwaiter lift for the new store. When a store is attracting record footfall, as is the case with JD Sports, the retail operation needs to be ultra-slick and efficient. The sports retail giant came to Tower Lifts looking for a way to enhance the movement of stock around the store; they wanted to minimise the need for staff to leave customers waiting whilst fetching trainers from stock. There was a clear solution that we could offer as the dumbwaiter lift was developed for exactly this kind of challenge. 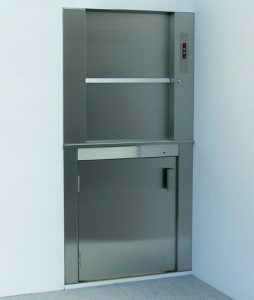 A dumbwaiter is designed to carry goods such as shoes, food, or machinery from one location to another in order to minimise the legwork of staff, and maximise efficiency for the customer. Tower Lifts installed the prototype bespoke dumbwaiter lift for JD Sports in Dundrum Shopping Centre, in Ireland, and since then we’ve fitted dumbwaiters in Luton, Coventry and Doncaster. 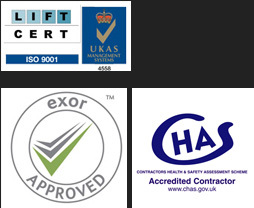 Whatever the business challenge, Tower Lifts design and installation team has the skills and experience to be able to create a bespoke, innovative solution, using state-of-the-art technology, and demonstrate excellent return on investment fast.